BMW, in a major marketing shift, is renaming the next-generation 3-series coupe and convertible the 4 series to create more exclusivity and command higher prices on some of its sportiest, high-volume models. The 4-series coupe is expected to go on sale in mid-2013, followed by the 4-series convertible in the fall, the company said today. They will be joined by the X4 crossover that goes into production in Spartanburg, S.C., late next year and hits U.S. showrooms in early 2014. BMW also markets a Z4 roadster. BMW released photos of the concept 4-series coupe today, but did not provide additional production or price details. The concept 4-series coupe will be introduced at the Detroit auto show in January, BMW says. The future two-door is longer, wider and lower than the outgoing 3-series coupe. It also rides on a larger chassis than the model it replaces, with the wheelbase extended by about two inches and the front and rear tracks increased as well. BMW said the new chassis helps improve interior packaging and room. The 4 series -- developed under the internal codename F32 -- is based on the same high strength steel platform structure and uses the same aluminum intensive underpinnings as the latest 3-series sedan. 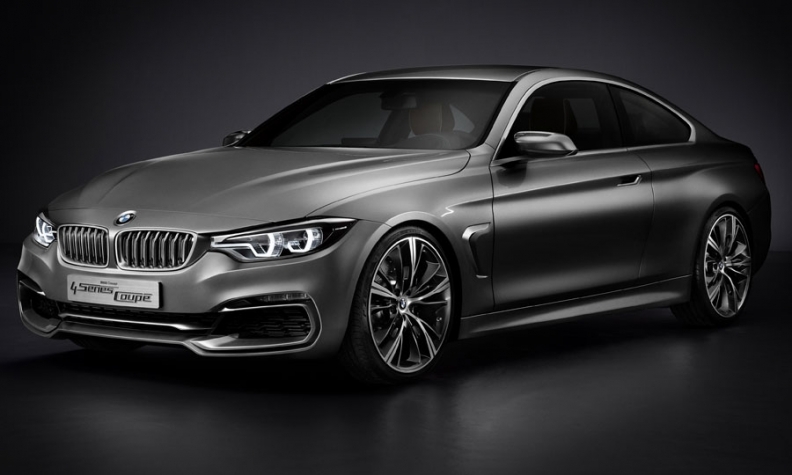 Alongside standard rear-wheel drive models, BMW plans to offer selected all-wheel drive xDrive versions of the coupe. 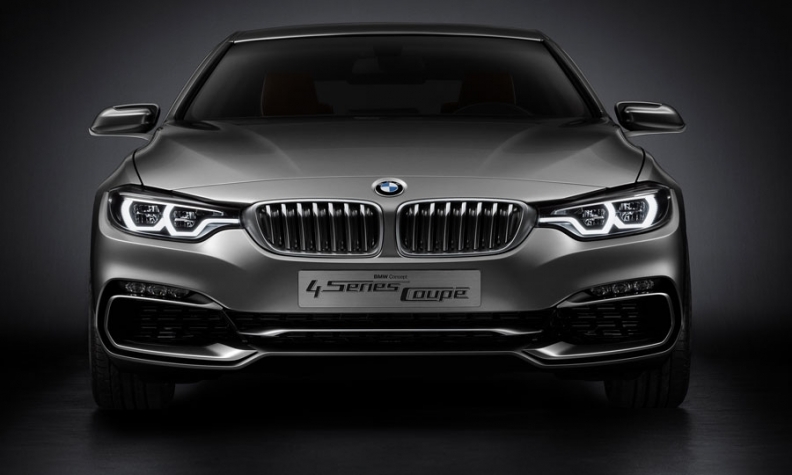 BMW also plans a four-door 4 series gran coupe, Autoweek reported today. The 3-series line - sedan, coupe, convertible and wagon -- is a cornerstone of BMW's global product portfolio and profits. It is the top-selling luxury nameplate worldwide with 2011 sales of 382,218 -- or 28 percent of the BMW brand's sales of 1.38 million, according to IHS Automotive and the company. The coupe and convertible each accounted for 15 percent -- or about 14,000 units apiece -- of the 3 series' U.S. sales of 94,371 last year, BMW said. Through November, U.S. sales of the 3 series have increased 4 percent, to 88,857. U.S. sales of the 3 series peaked at 142,490 in 2007. BMW hinted it will expand the pricing gap between the 3-series sedan and the new 4-series coupe and convertible. "The 4 stands for greater sportiness, greater exclusivity and even clearer differentiation from the BMW 3-series range," BMW said in a statement today. Pricing on the 2013 BMW 3 series begins at $37,745 for the sedan, $39,595 for the coupe, and $48,495 for the convertible. Prices include shipping. BMW said the new nomenclature follows the tradition of its 6-series two-door models and the 8-series coupe that was discontinued in 1996. Now in its third generation, the 6 series -- reintroduced in 2003 -- is marketed as a coupe, convertible and gran coupe.